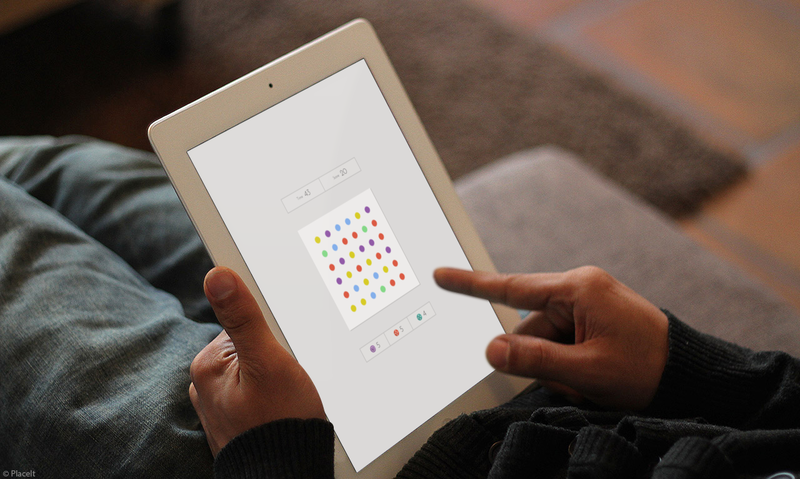 Dots, the highly addictive mobile game, created by betaworks has arrived on the iPad. Previously only available for the iPhone, now gamers can enjoy collecting dots while also taking advantage of its new multiplayer mode. The release of the iPad version comes as the game marks more than 3 million downloads and about 250 million games played. It’s interesting to note that Dots has only been around for just one month and it has seen an incredible amount of growth. The idea of the game is rather simple in nature — which probably is what makes it so addictive. Players will connect dots in a linear fashion, meaning that you tap a dot of a specific color and connect it with as many dots of that same color. Essentially, it’s “Connect the Dots” meets “Candy Crush Saga”. Traditionally, users were not competing with one another. 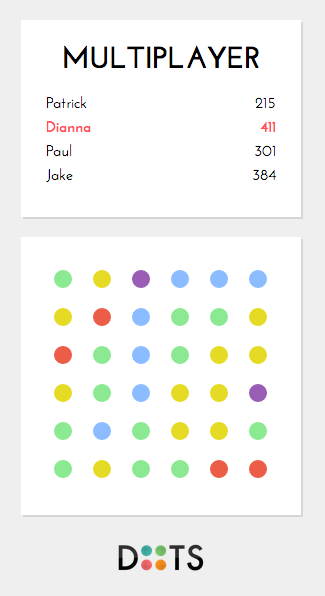 With the iPad version, betaworks has added a multiplayer mode that makes it possible for at least two people to compete each other with the same set of dots. The company says that over the past month, it has seen players try and beat each other in Dots to see who could have the higher score — the only downside was that no one had the exact board set up so it technically wasn’t a fair match. Now it’s possible. As an added bonus, Dots’ multiplayer mode is going to be available on all iOS devices, so who has the app installed on their iPhone will be able to use it. Included with today’s update are two new color modes. These modes were implemented to assist those players who are color blind while also enabling the sound and vibration controls to be adjusted. For those who feel left out, don’t be too upset — an Android version is coming and betaworks hints that an “un-timed model of gameplay” could be in a future update.